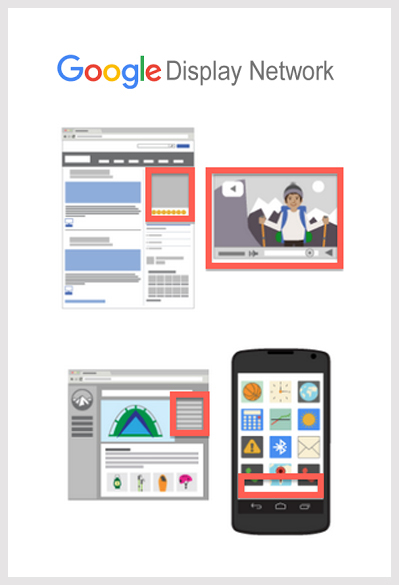 Google Display campaigns allow advertisers to reach people who are browsing the web. It reaches 92% of Internet users. While the Search campaign only uses keywords to target potential customers, Display campaigns can use a combination of keywords, topics, interests, and placements. Using these you can show your ads to people who are currently or have been browsing websites related to your product or service. You can even select certain websites you want to be on and bid on those ad positions. Google Search campaignyou can use targeting options including locations and demographics. You will also get detailed reporting of how many people saw your ad and how many of those people became customers. We also implement Remarketing for Display which will show your ads to people who have been to your site before but not completed a goal you set, like filling out a lead form. Display campaigns may look simple to implement but are actually quite complicated. Along with all of the different targeting and bidding options, there is more work to be done on creating ads since they are not just text-based. Creating powerful image ads that will attract and interest people is a key component to running a successful Display campaign. Our team can create ads that will ensure engagement and successfully meet your goals.